#​ ​British​ ​Marriage​ ​Entrepreneur​ ​&​ ​Founder​ ​of​ ​GoMarry.com​ ​says​ ​he has​ ​the​ ​solution​ ​and​ ​it​ ​won’t​ ​cost​ ​the​ ​government​ ​a​ ​penny. In light of Philip Hammond’s recent focus on the housing shortage issue and his pledge to build 300,000 new homes per year. I believe it’s time to rethink the housing issue and face the ugly cause of it. of societal collapse. Housing is just one example. to mortgage eligibility was considered fair. But today more and more people rent their homes because it’s cheaper to pay extortionate rents than to save up a deposit for a house. Landlords set prices in accordance with the housing market, a supply and demand tactic on homes. This means that to rent a house is also becoming more and more expensive over time. It now costs around £800 to put a deposit down on an apartment in the UK. This is set to rise up to around £1100 by the year 2026 and that is not including agency fees and everyone’s favourite “first month and last month’s rent”. With all of this the average price to rent a decent apartment is almost £2000. Why is this the case? Well, I believe that the shortage of housing has come about because historically a house catered for a family of say 4-8 individuals. Whereas today it’s almost like we need a house per person or two. This new form of living has sprung up far too quickly for housing developers to keep up with the demand. websites, sexual experimentation, promiscuity, super short vile swiping one night encounters and everything they bring with them. Lack of a foundation or incentive to create families and an ability to break any chance of a family with just one text message. It might sound insane but here is my solution. Instead of creating another dating site, I created the first of its kind Marriage only relationship site www.GoMarry.com. Uniting the last few remaining bastions of decency, who don’t want another date, or one night stand i.e. meaningless, unfulfilling encounters. But want marriage, family, and to meet like minded people who are looking for the same. These people will go on and create stable families for themselves and future generations. It’ll take my solution around a decade or two to solve the lack of family issue but in the interim if you cannot move back in with your own family. Why not create a pretend one with friends and pool resources. Not only will you save a ton of money every month but your quality of life will go up too. “Two can live as cheaply as one” has never been more truer than in housing. As individuals, moving away at quite a young age due to the self applied stigma of not living with your parents. We are doing nothing but collectively shooting ourselves in the foot. I’d like everyone to stay with their families until they get married or if you can push it until your first sprogling gets his/her legs. Renting a 4-5 bedroom house is often only 20-30% more expensive than renting a 1-2 bedroom unit. There would only be one council tax, TV license, Internet package, water, gas, electric, insurance and food bill. With less people needing to rent houses there will not be a need for as many rented properties. In fact there will be a surplus. This means that tables will turn and landlords will have to compete with each other for tenants, thus eventually lowering prices. 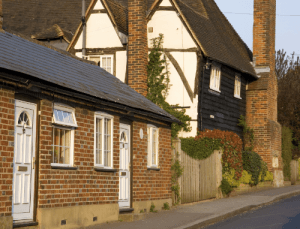 Not too long into this competitive rent period, many landlords will have to put their properties on the market due to a lack of renters and ever burdening mortgage payments. Eventually for many landlords this dumping of property would prove fruitless. Foreclosures would ensue along with a price drop war for their excess property stock that has now become a liability. By the time the dust settles, only landlords who have purchased at historic prices would remain in business. The process of chopping big family homes into smaller 1-2 person dwelling crudely will come to an end. reasonable prices. I currently own 22 properties and I have no issue with this solution even if it means I myself end up with only 7 – 8 properties and selling the rest. I am happy to give up this income to make sure there are more families in the world. Azad Chaiwala, is a strong supporter of marriage and families. Azad is the founder of www.GoMarry.com – A first of its kind relationship website encouraging Marriage instead of dating. Totally get your ethos, and a great point made.